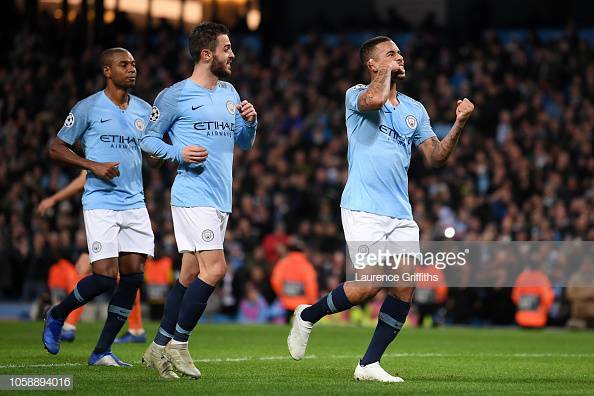 Manchester City routed Shakhtar Donetsk on Wednesday night, scoring six goals in their second straight match in a 6-0 drubbing at the Etihad. With goals from four different players, including a Gabriel Jesus hat-trick, the defending Premeir League Champions easily dispatched their Ukranian counterparts and have now scored 12 goals in their last two matches in all competitions. David Silva opened the scoring for the hosts 13 minutes into the match, tapping home a Riyad Mahrez cross. 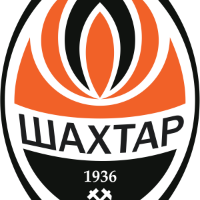 The Algeria international toyed with three Shakhtar defenders on the right flank before firing a ball across to a wide open Silva, who had an easy finish from inside the six-yard box. City took a two goal lead after Jesus converted from the penalty spot in the 25th minute. Raheem Sterling attempted to kick the ball inside the box, but fell when hitting the grass and not the ball. The referee pointed to the spot, despite the fact that the reply showed clearly that no Shakhtar player touched Sterling, and that the City player had fell due to his kicking of the turf. Manchester City extended their lead to three right at the beginning of the second half. Sterling beat two Shakhtar midfielders and curled a ball perfectly past Andriy Pyatov from the edge of the box to give the hosts a 3-0 lead just three minutes into the second half. Jesus grabbed a second goal on the night in the 72nd minute, slotting another from the penalty spot to make it 4-0 for the hosts. Silva was taken down in the box, and the Brazilian striker grabbed a much-needed brace after smashing home another penalty attempt. After assisting on the first goal of the match, Riyad Mahrez pocketed one home himself with six minutes until full-time. On the counter-attack, Mahrez chested down a pin-point cross, and volleyed home City's fifth goal on the night. Gabriel Jesus grabbed his hat-trick in added time of the second half. The Brazilian was let in one-on-one with the goalkeeper and chipped it over Shakhtar's last man and into the open net. City will hope that they can cap off the week with a victory over crosstown rivals Manchester Untied on Sunday. In the same fixture last season, City won at Old Trafford but lost at home at the Etihad in a dramatic 3-2 match.